Renewable energy resources such as wind in the high plains and concentrated solar in the dessert southwest require multi-billion-dollar investments in extra-high voltage transmission extending across state lines. 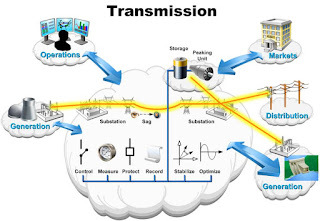 A system composed of static equipment used for the AC transmission of electrical energy. It enhances controllability and increase power transfer capability of the network and is generally a power electronics-based device. For long-distance distribution, HVDC systems are less expensive and suffer lower electrical losses than the traditional AC lines. A utility frequency technology that has the potential to change the economics of power delivery by allowing increased power flow over existing lines up to a line's dynamic limit instead of to its worst case limit. We are using World War II era analog technology to power a network and devices that are increasingly digitized.